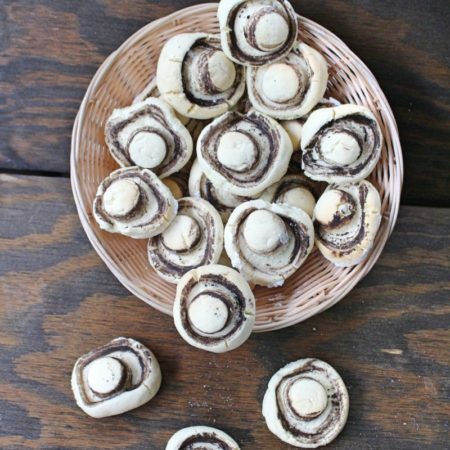 These mushrooms taste perfect and melt in your mouth while eating them. 1.) 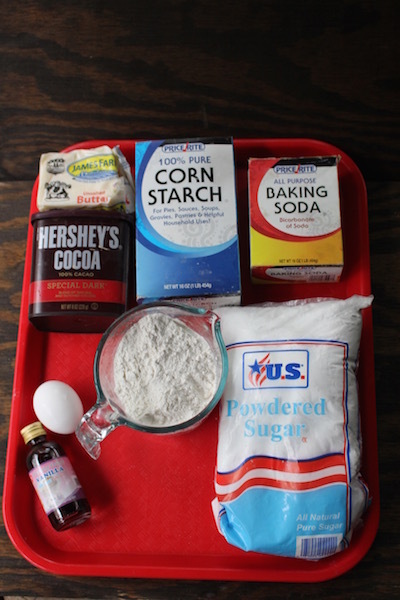 In a large bowl add flour, corn starch and baking soda and mix. In a separate bowl add butter, powdered sugar, 1 egg and mix together well. Combine the 2 bowls and mix together until you have a dough. 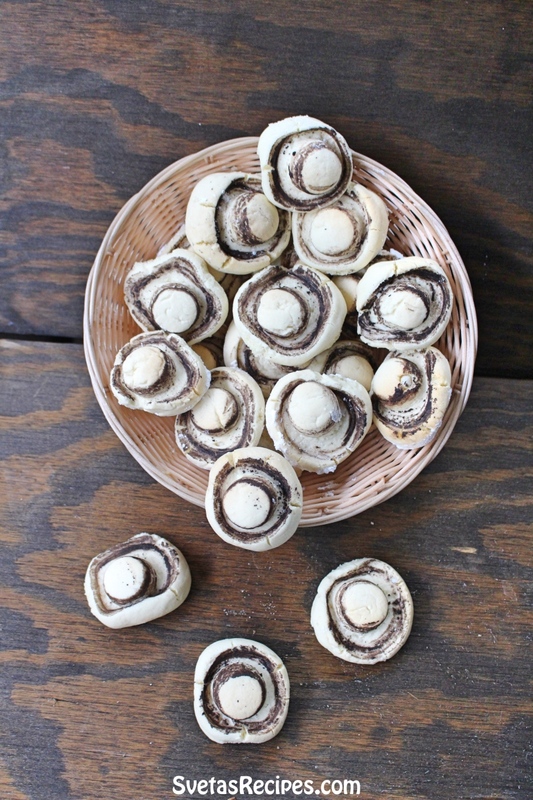 Make small dough balls using your hands. 2.) Dip the top of a water bottle into cocoa powder and then push it into the balls and turn the battle two times. 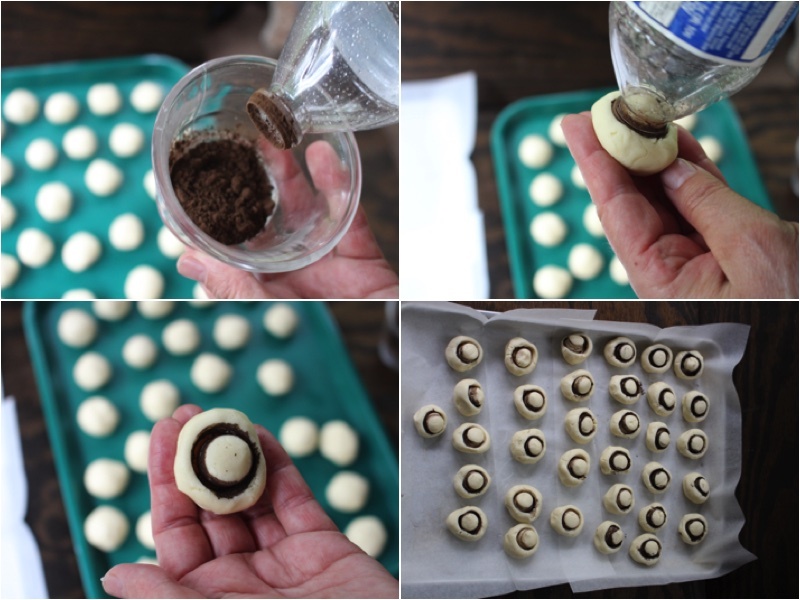 Do this with all of your balls and place them on parchment paper. Bake on 350ºF for 25 minutes. 3.) Take them out and let them cool. 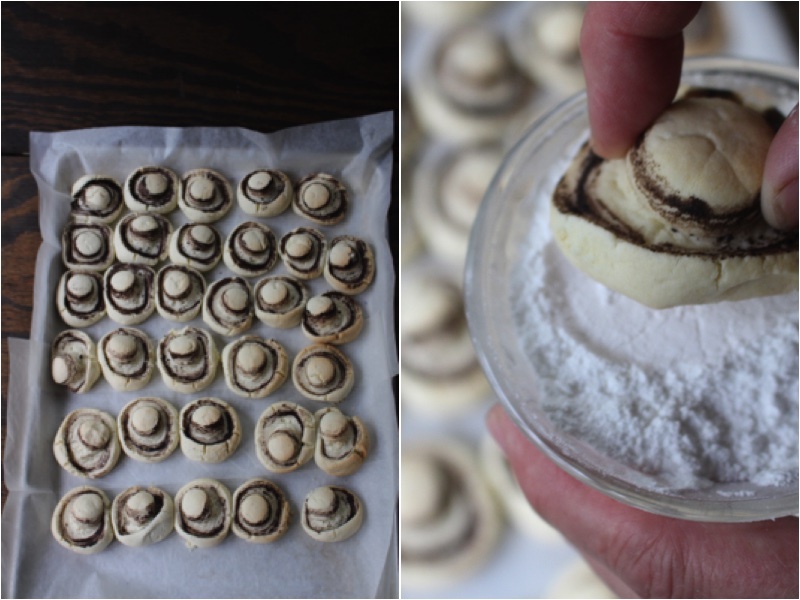 Dip each mushroom head into powdered sugar and enjoy. In a large bowl add flour, corn starch and baking soda and mix. In a separate bowl add butter, powdered sugar, 1 egg and mix together well. Combine the 2 bowls and mix together until you have a dough. 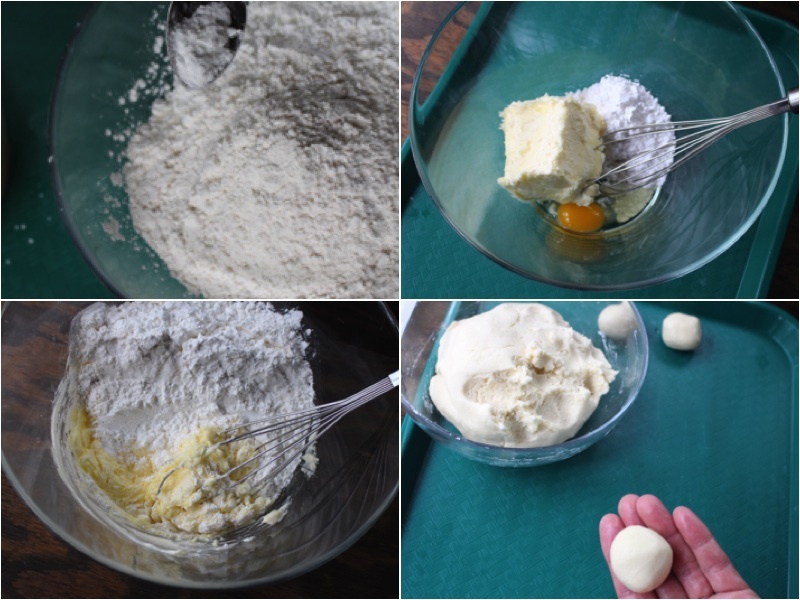 Make small dough balls using your hands.